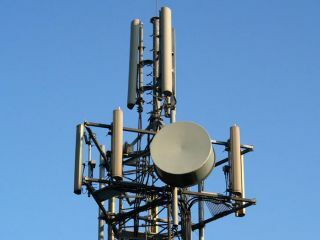 The UK's yet-to-materialise 4G networks are proving to be a right old pain in the neck as it now emerges that the spectrum waiting to be auctioned off to house the next-gen networks will cause some interference to existing TV signals. But don't worry, Ed Vaizey has a plan. Our current communications minister has set up a fund for the networks bidding on the new spectrum to pay into to cover the costs of the TV interference, aiming for £180 million to set the whole thing straight. Vaizey explained, "Next generation mobile services are essential for economic growth. They will bring an estimated benefit of £2-3 billion to the UK economy. "There will be some interference when 4G services are rolled-out but we will have the solutions in place to eliminate the disruption to television viewers." These solutions, paid for by the £180 million slush fund in some cases, will include fitting a filter. Extra help will be available for the elderly or disabled and, in extreme cases, the fund will spend up to £10,000 per household to fix the digital disruption. Not that we'll have to worry about it any time soon, with Ofcom's 4G spectrum auction not taking place until later this year and then it'll be 2013 at the very, very earliest before networks are up and running across the UK.